Earlier this week, long time social activist and prevention advocate Allan Creighton passed away. Allan made many valuable contributions to preventing male violence and promoting social justice. Many of us use exercises that Allan helped develop in curricula such as Helping Teens Stop Violence, Young Men’s Work, Making the Peace, and Making Allies, Making Friends. 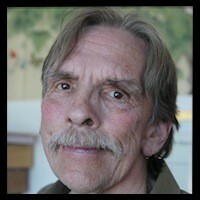 Allan was a co-founder of the Oakland Men’s Project and a co-founder of San Francisco’s Men Overcoming Violence (MOVE). Our lives connected through those organizations as well as at Battered Women’s Alternatives (now STAND! For Families Free of Violence) in Concord, CA. Most recently he served as Social Justice/Violence Prevention Health Educator at the University of California at Berkeley. I first met Allan in 1984 when I moved to the San Francisco Bay Area with a Men Overcoming Violence bumper sticker in my hand (It said “Another Man Against Violence Against Women.) At a Community Education committee meeting, I found myself in a room full of men committed to taking action to end men’s violence. From that point onward, Allan became an important mentor to me in this life work. I learned so much in my years working, being in meetings and playing with Allan. Allan was one of the first men I meant who showed me that men can dedicate their life to working to end violence and toward building a world with justice. And Allan taught me that this work is not all work – it involves asking “how are you really doing?”, and balancing life with family and friends along with political action and professional life. I am so thankful to have had Allan in my life. And there is a vast network of people who feel the same. In the last week I have read many moving tributes to Allan through emails and on Facebook. Allan helped create a community that supported activists. He inspired people, like me, who continue to be active to promote social justice. Allan’s legacy will continue to create social change in my community and communities throughout the world. In the last several years I saw Allan at religious services (we were members of the same congregation) and when he has me speak about public health and social justice at the violence prevention course he taught at UC Berkeley. Through the California Coalition Against Sexual Assault, Allan was an active member of the Dismantling Oppression Work Group. 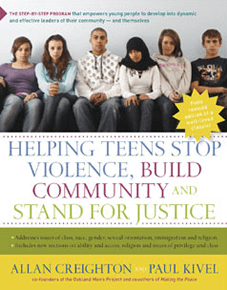 Below is an interview I conducted in 2011 with Allan and his colleague Paul Kivel about the release of their updated book Helping Teens Stop Violence, Build Community and Stand for Justice.